Hello Everyone! 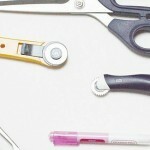 My name is Katie and I blog over at Running with a Glue Gun. 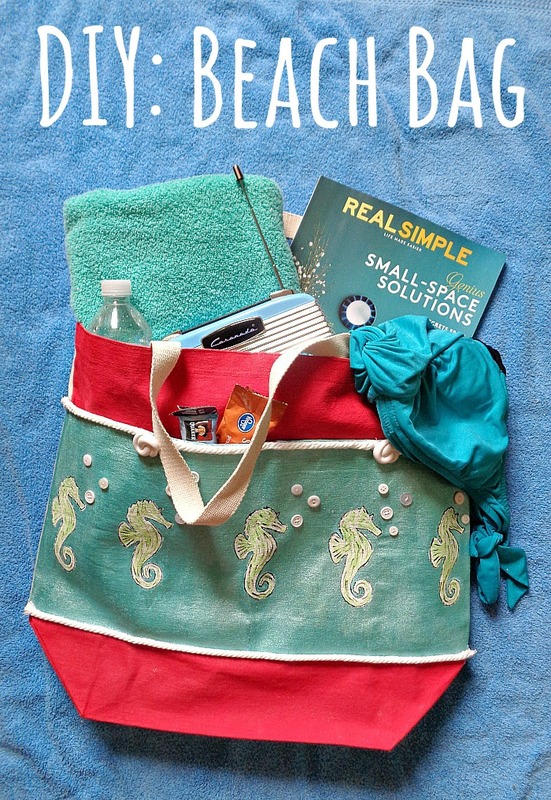 Today I’m going to be showing you how to turn that plain canvas bag into a fun beach bag! Summer is right around the corner and that means hanging out by the pool or going to the beach! If you’re in the need of a new pool or beach bag, then you have come to the right place. 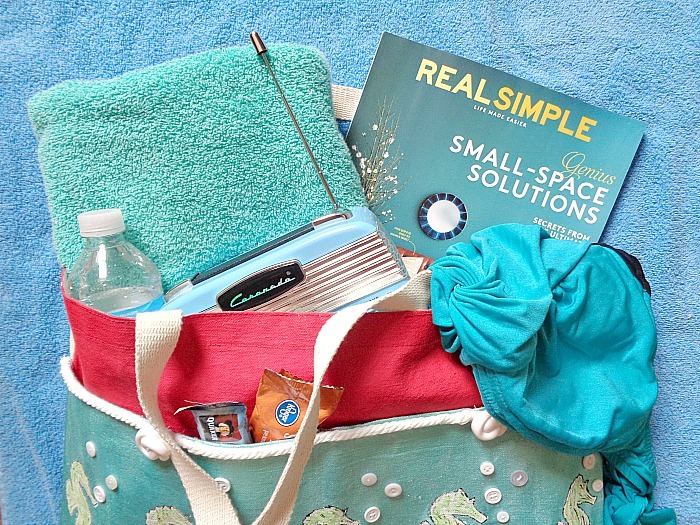 Today, I’m going to show you how to turn a plain canvas bag into a fun beach bag! 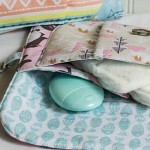 For this DIY, you are going need to a canvas bag. 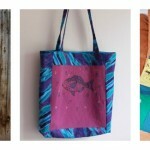 These canvas bags can be found at your local craft store in varies sizes and colors. 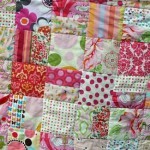 Depending on the size and color of your canvas bag, will dictate what supplies you exactly need for this project. 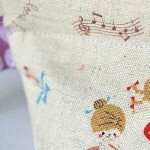 For example, you may not need as much fabric paint if you’re already starting with a colored canvas bag. 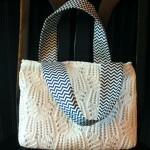 The nice thing about this beach bag is that it’s easy to make and really allows you to be as creative as you want! 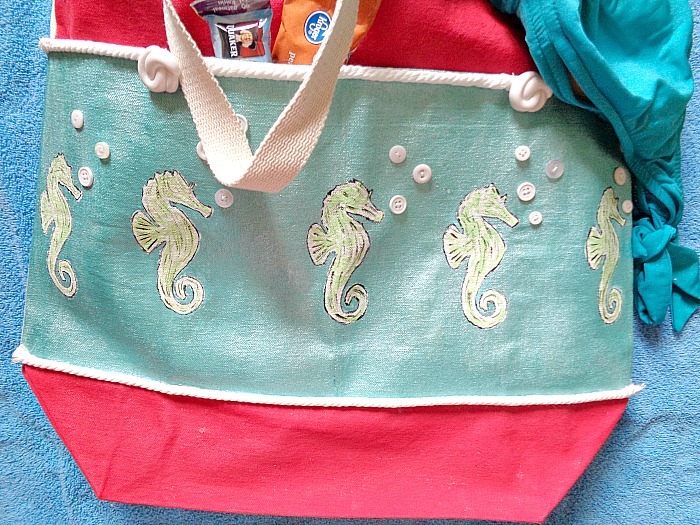 Personally, I went with a full on beach theme, but you could create a more non-traditional beach bag. That way, you could use it beyond the summer time. 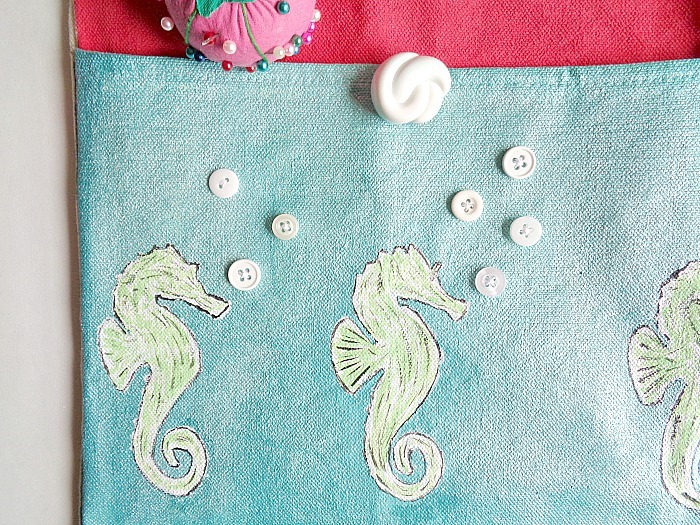 To find out how to make your own beach bag, just check out the full tutorial below! 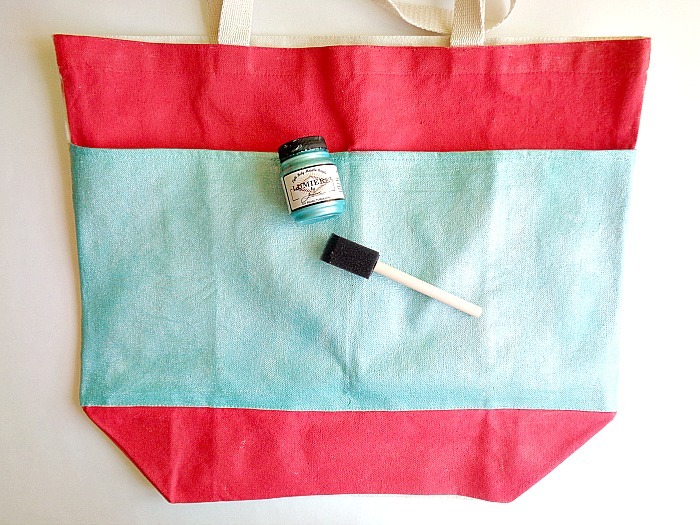 Step 1: Paint your canvas bag using your fabric paint. For my canvas bag, I decided to paint the main pockets and both the top and bottom portions of the bag. When you’re happy with the look of your bag, set it aside to dry. Step 2: Grab your stencil and place it on top of your bag’s pocket. 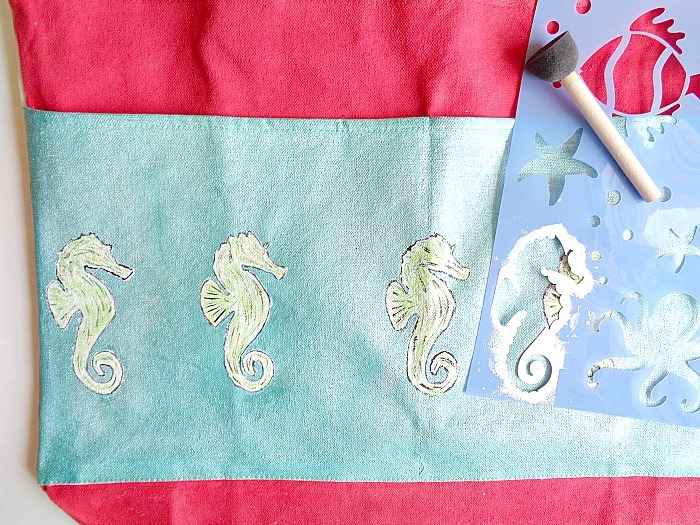 Then dip your stippling brush into your fabric paint and begin stippling on your stencil pattern. Keep repeating this step until your pocket is covered. At this point, you could leave your stencil design as it is. However, I used some green and black fabric paint, to add more details to my seahorse. Again, this is totally optional. When you’re happy with the look of your bag, set it aside to dry. Step 3: Take your buttons or other embellishments and begin placing them onto your bag. Keep playing around with the look, until you have something that you like. 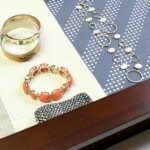 When you are happy with the look, sew each embellishment into place. For my bag, I decided to sew on white buttons to represent air bubbles and two nautical shank buttons, to give my bag a more polished look. Step 4: Grab some white rope and cut it to fit the length of your bag’s pocket. 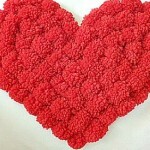 After you’ve cut the rope, you will want to address the ends. 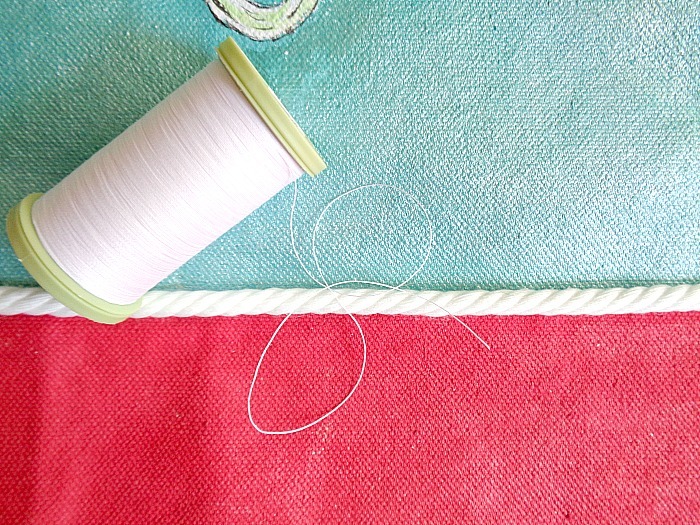 If your rope is fraying or unraveling, you will want to stop it by either using a lighter (to lightly melt the ends) or paint on a light coat of Mod Podge. When your rope ends are no longer fraying, pin the rope onto your pocket and sew it into place. Once your rope is sewed into place, you’re ready to go to the beach! Now even though I got really detailed with my beach bag, you could create a simpler design to save time when creating your own. With that being said, my one tip when buying your canvas bag is to think about size. This is because you want to make sure that you’re DIYing a nice size canvas bag that will actual fit your pool/beach needs. If you were creating your own beach bag, what design would you put on it?